Announcing 2019 Global Super Judges! The following prominent migration policy experts will play a crucial role in identifying this year’s global winning team. Previously, at the Carnegie Endowment for International Peace, Dr. Newland was a Senior Associate and then Co-Director of the International Migration Policy Program (1994-01). She sits on the Board of Overseers of the International Rescue Committee and the boards of directors of USA for UNHCR, the Stimson Center, Kids in Need of Defense (KIND), and the Foundation for The Hague Process on Migrants and Refugees. She also is a Chair Emerita of the Women’s Commission for Refugee Women and Children. 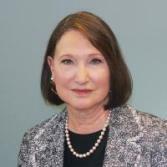 Prior to joining the Migration Program at the Carnegie Endowment in 1994, Dr. Newland worked as an independent consultant for such clients as the UN High Commissioner for Refugees (UNHCR), the World Bank, and the office of the Secretary-General of the United Nations. From 1988-92, shewas on the faculty of the London School of Economics. During that time, she also co-founded (with Lord David Owen) and directed Humanitas, an educational trust dedicated to increasing awareness of international humanitarian issues. From 1982 to 1988, she worked at the United Nations University in Tokyo as Special Assistant to the Rector. She began her career as a researcher at Worldwatch Institute in 1974. Dr. Newland is author or editor of nine books, including All at Sea: The Policy Challenges of Rescue, Interception, and Long-Term Response to Maritime Migration (MPI, 2016); Developing a Road Map for Engaging Diasporas in Development: A Handbook for Policymakers and Practitioners in Home and Host Countries (MPI and International Organization for Migration, 2012); Diasporas: New Partners in Global Development Policy (MPI, 2010); No Refuge: The Challenge of Internal Displacement (United Nations, 2003); and The State of the World’s Refugees (UN High Commissioner for Refugees, 1993). She has also written 17 shorter monographs as well as numerous policy papers, articles, and book chapters. Dr. Newland is a graduate of Harvard University and the Woodrow Wilson School at Princeton University. She did additional graduate work at the London School of Economics. Read the Washington Post profile of Kathleen Newland. Read Dr. Newland’s report, Circular Migration and Human Development. 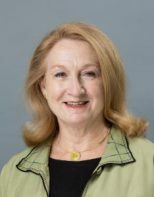 Ruth Ellen Wasem is a Professor of Policy Practice (Clinical Professor) at the Lyndon B. Johnson School of Public Affairs at the University of Texas, where she teaches courses on immigration policy and legislative development. 2013). Dr. Wasem is an opinion contributor on immigration-related topics to The Hill newspaper. Dr. Wasem is a graduate of the University of Michigan and Muskingum College. Mr. Showvik Das Tamal is a human rights lawyer with particular expertise on strategic humanitarian response and policy advocacy. He will act as a “Global Super Judge” in his personal capacity and not as representative of the United Nations. Mr. Das is currently working with United Nations High Commissioner for Refugees (UNHCR) as a National Officer (NOA) for managing external relations with bi-lateral and multi-lateral development partners, civil society organizations and academia with primary focus on programme development, conducting political analysis, strengthening communications and knowledge management. Earlier in his career carrier he worked with UNDP Bangladesh (Democratic Governance Cluster), National Human Rights Commission and Bangladesh Legal Aid and Services Trust. As voluntary social engagement, Mr. Das contributes to the governance structure of a renowned NGO Action Aid International as a member of its International Board. Mr. Das studied forced migration at the University of Oxford, United Kingdom. Prior to starting his career with the United Nations he completed his LL.M. (Masters in International Human Rights Law) and LL.B. (Graduation in Law) at University of Dhaka. 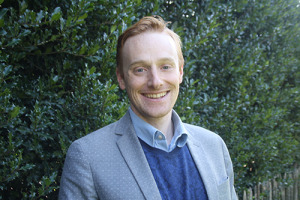 Thomas is Migration Policy Group (MPG) Research Director. Thomas joined MPG in 2006, and since 2018, he coordinates research and communications. On behalf of MPG, he chairs the EU’s migrant education network (SIRIUS) and the quarterly migration meetings of the EU NGO Platform on EU Asylum and Migration (EPAM). He is also the coordinator of MPG’s Migrant Integration Policy Index (MIPEX), the European Website on Integration (EWSI), the VoteBrussels campaign and the Transatlantic Migrant Democracy Dialogue.